Today we featured a fantastic artwork created by our friend Christopher Haines. 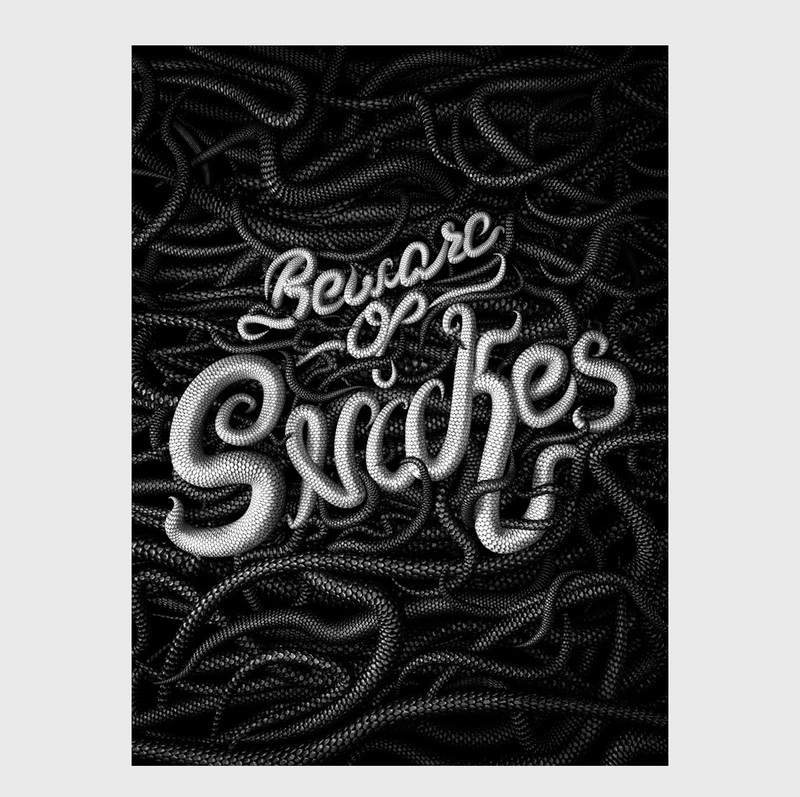 This piece is titled Three Word Advice and it's a super cool mix of typography, 3D and photo manipulation with the text "Beware of Snakes". Christopher also shares a timelapse video of his design process in Cinema 4D, definitely worth checking it out. Let's take a pause and look at this illustration series by Oleg Belinsky named Futurism vs. Passeism. You'll notice the mixture of that black solid color, geometrics, lighting and gradients are just a combination of a stunning stylish art.